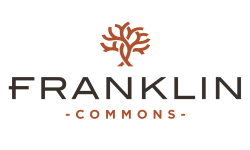 Welcome back to the Franklin Commons Blog! In our last post, we offered a few suggestions for ways to decorate your apartment to get it ready for the next few months of fall here in Bensalem, PA. Today we want to help you decorate a classic icon of the season and Halloween itself: the pumpkin! 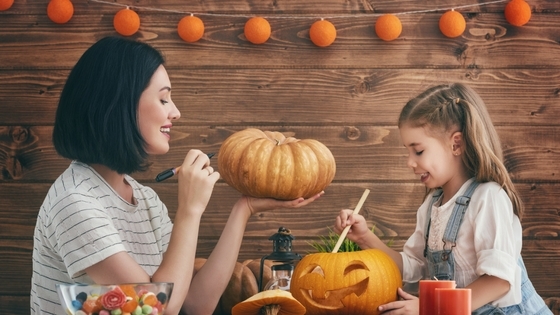 If you’re carving or decorating pumpkins this month, try some of these tips for ways to freshen it up. If you still want to carve your pumpkin and make it really special, use tools like drills, nails, and hammers to give the detail you’re looking for. You can use small holes and lines to enhance a carving you’re making, or you can even stick things like flower stems into the holes to mix it up. Plus, using a drill might even be easier to create designs than using sharp, smooth lines is. See these Star Wars pumpkins as proof! Even if you only expect your pumpkin to last for a few weeks, you can still use this opportunity to create some art with this unconventional medium! Use mini pumpkins, oddly shaped pumpkins, paint, and the other techniques we’ve mentioned to tell a story with your pumpkins. Don’t be afraid to use other props and material, such as paper, glue, or household items, to complete your scene.